This dish is pure baked deliciousness. It’s easy (4 ingredients if you don’t count the ingredient you use to grease the pan) and is done in the time it takes you to say “supercalifragilisticexpialidocious.” Well nearly, anyway. The point is that this dish rocks my world, and I think it will do the same for you. It’s also pretty versatile. If you aren’t a shrimp eater, scallops would work as would cubes of any kind of firm white fish. I’ve served the dish for special occasions like Valentine’s Day and made it when I’m the only one eating it. It’s that fancy and that simple, all at the same time. Give it a try; you’ll be glad you did. 1. Preheat your oven to 450 degrees and grease your baking dish. 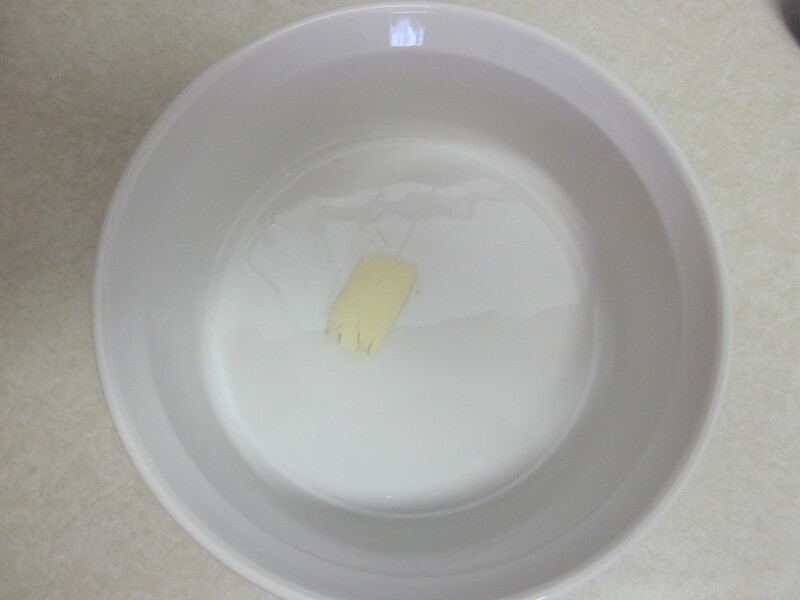 Typically, I use a smidgen of butter and smear it around the dish with a paper towel. 2. 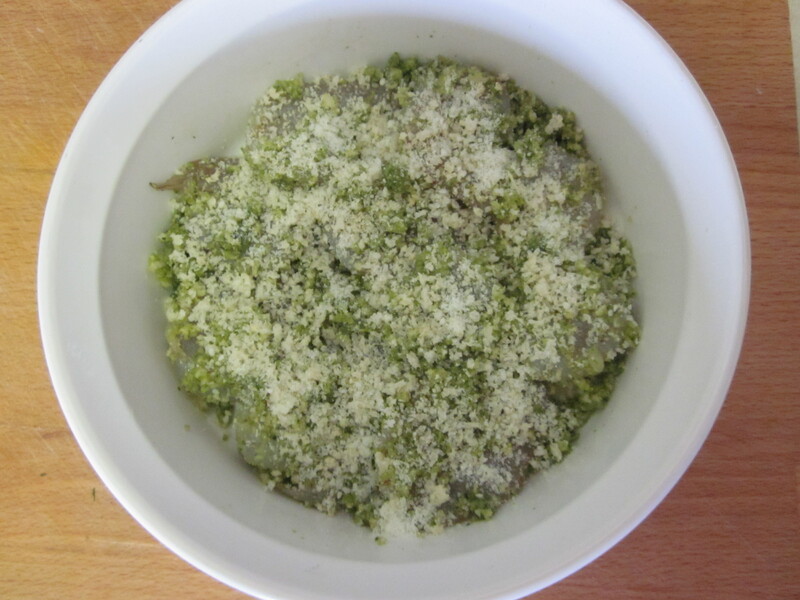 In a roomy bowl, mix together your pesto and 2 tablespoons of your breadcrumbs. It will be sort of crumbly, and that’s okay. 3. 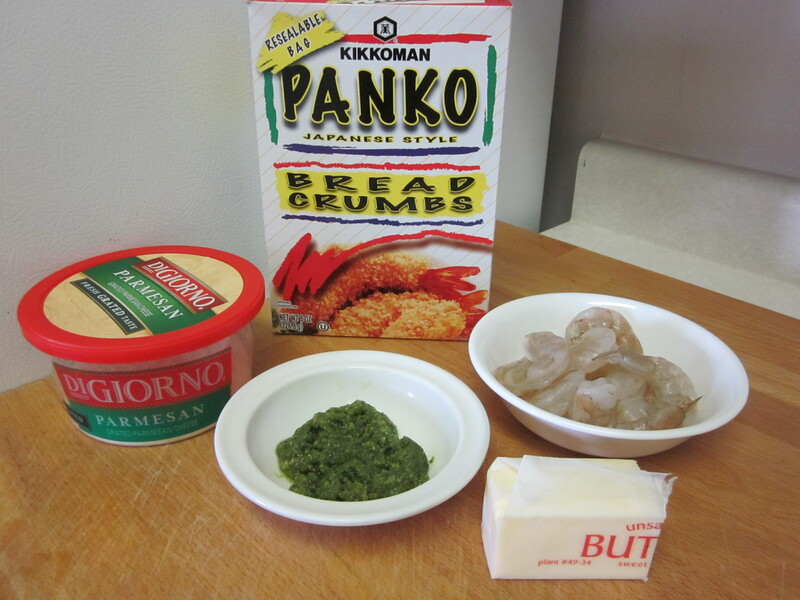 Add in your shrimp, and mix together. 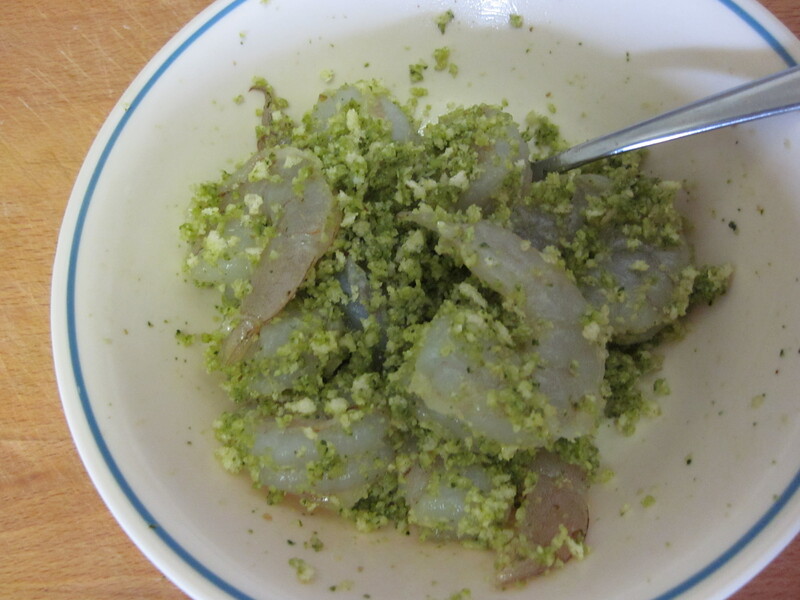 You want the pesto-breadcrumb mixture to coat around all the shrimp. 4. Put into the baking dish, in a single layer as much as possible. A little overlap is okay, but overall, you want one layer. Top with the remaining tablespoon of Panko and your Parmesan cheese. A note about cooking shrimp: The bottom line is two-fold. Shrimp cook crazy fast, and overcooked shrimp taste crazy bad. You are looking at two indicators when discerning if the shrimp is cooked or not. The first is color. As shrimp cooks, you’ll see it turn opaque and either a white or pink. You aren’t looking for a super dark or super bright color though. If it’s too bright or dark, chances are that you’ve overcooked it. The second is shape. Most raw shrimp are a loose sort of question mark or barely curved line shape. As they cook, they curl or tighten up. You want to watch for a C shape. The key to a C is that the ends are still kind of far apart. If the ends of the shrimp curl into each other so it’s closer to an O, that’s not a good sign. I’ve read and heard that overcooked shrimp tastes like a pencil eraser. I can promise you that I’ve never taste-tested a pencil eraser, so I cannot confirm that. However, overcooked shrimp are rubbery, chewy, and sort of challenging to eat. You’ll probably know it when you bite into it. Typically when I’m pan- cooking shrimp, I’ll leave them on their first side the longest, and then the flip side never gets more than 2 minutes. They are usually 2/3 – 3/4 of the way done when I flip. I’m hesitant to give you specific times as there are so many factors that can influence time. However, you are probably looking at 4 – 8 minutes, on average, for cooking time. It may take some practice, but don’t be intimidated. You can do it! 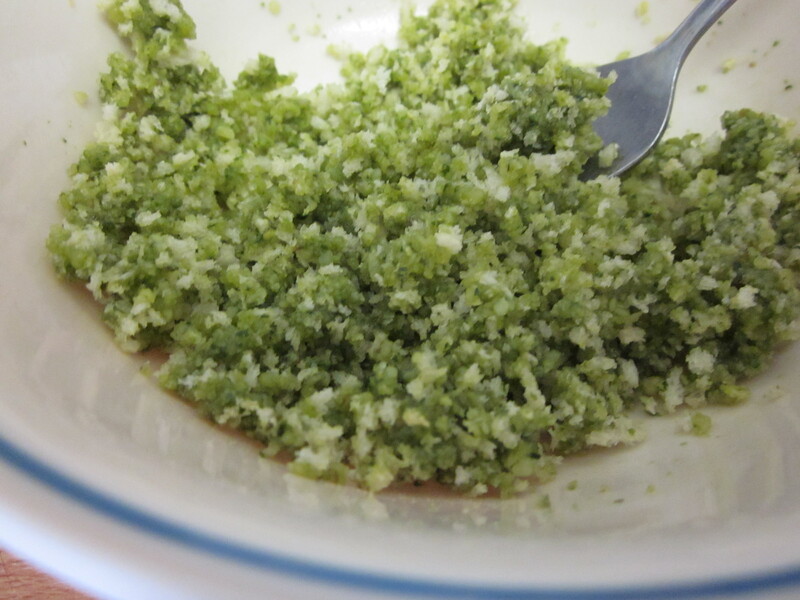 I used pesto that I made with this recipe, and I had tablespoon cubes in the freezer so it was super simple to pull out two cubes to defrost while I was at work. I usually keep a bag of frozen shrimp in my freezer also. The shrimp always defrosts while I’m at work, and if I forget, it is a protein that will defrost quickly while I’m prepping other parts of dinner. It just takes a little bit of cold water in a bowl, and presto-changeo – it’s defrosted! This recipe comes together so quickly that it’s a great go-to even if you’ve forgotten to plan ahead or if you’ve had a tough day and want a special meal. 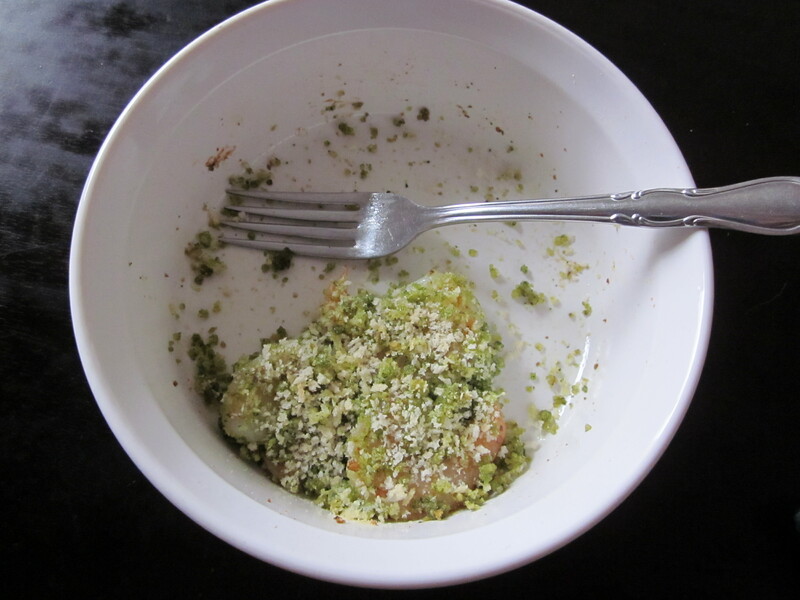 Even if you don’t have the recipe in front of you – remember: equal parts Panko and pesto for the mixture plus one tablespoon Panko for the topping and a sprinkle of cheese. It’s that easy. Let’s talk about Panko, people. Panko breadcrumbs are a Japanese-style breadcrumb that is rougher and has more texture than your traditional, run-of-the-mill breadcrumb. It’s not as fine as traditional breadcrumbs so you get more crunch bang for your breadcrumb buck. Because they are a more substantial breadcrumb, items that are coated with Panko hold up better under sauces before going mushy and goopy on you. They won’t keep their full crunch under a heavy sauce or under a large amount of sauce, but they will do quite nicely with a light sauce, a pan fry, an oven bake, or any other preparation where you would use breadcrumbs. Substitute Panko, and you won’t be disappointed. I’ve found Panko on the lower shelf in the breadcrumb aisle at my grocery store as well as near the sushi station. You may also want to check the Asian or international food aisle of your store. Since I’ve made the switch to Panko, I can’t think of a time in the last three years when I’ve used the regular breadcrumbs. They are just that good. 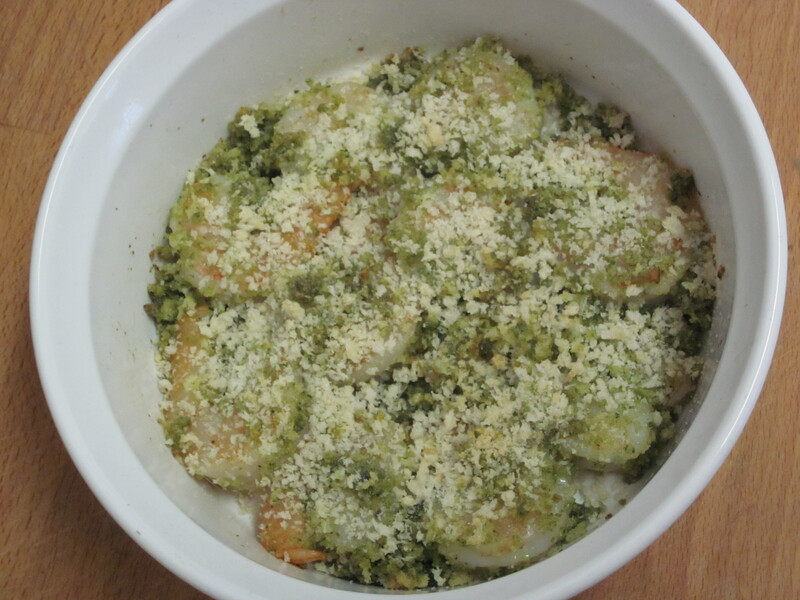 If you want to make Baked Pesto Shrimp for two people, I don’t think you necessarily need to double the whole thing – just add a couple more ounces of shrimp and one more part Panko and pesto plus serve some side dishes. Just my two cents on that. I have made it with scallops as well as a mix of shrimp and scallops. I’ve never made it with the cubes of fish although I believe it will work just as well. You may need to adjust the cooking time a little. Test the fish with a fork to see if it flakes to tell if it is done before you take it out to serve. If you try it with the fish, let me know how it goes for you. And to everyone, happy eating! Pingback: Baked Scotch Eggs « Let There Be Food!